She began her career teaching in some of our most challenging classrooms and schools within our county detention facilities. Because of her ability and desire to lead, Lynn became the principal of the County’s Court and Community Schools, and in 2012 and 2018 was awarded Administrator of the Year for her work transforming the lives of some of our most vulnerable students. Lynn Mackey will bring an experienced educator’s perspective to the job of County Superintendent because she is an educator, not a politician. A lifelong resident of Contra Costa County, Lynn was born and raised in Concord, California and her mother still lives in the same Dana Estates house where she grew up. Lynn went to school in the Mt. Diablo Unified School District and though she loved reading, Lynn struggled to stay engaged in school and was eventually sent to Golden Gate Community School. It was a different time and there was less attention given to making the learning relevant and engaging for all kids, and after just a few months there, she dropped out. As a young single mother, Lynn recommitted herself to school and received her GED, and eventually enrolled at Diablo Valley College. After DVC Lynn earned her Bachelor’s degree from Mills College in Oakland. She then went on to teach at our county jails. Lynn dedicated herself to teaching in the jails because she wanted to give back to students what education had given to her: another chance, a fresh start, and an opportunity to be a productive member of our community. Lynn is an experienced educational leader with over twenty-one years of experience. She has steadily grown in her responsibilities at the Contra Costa County Office of Education. Starting as a teacher, then Principal of our Court and Community School program, Lynn was promoted to Curriculum Specialist, then Director of Student Services, Senior Director of Educational Services and now serves at Deputy Superintendent. Today, Lynn manages the Special Education Department, which educates some of the county’s most fragile students. She also oversees the Curriculum and Instruction Department, which provides support and services to all school districts in the county, including support in early childhood education, new teacher development and academic support such as trainings in STEAM education. Every day, Lynn Mackey works hard to ensure that our most vulnerable students don’t fall through the cracks. She is one of our county’s biggest advocates for students with special needs, students who struggle with mental health issues, and students who are incarcerated or expelled from their districts. She believes that all students can reach their potential through the power of a great education. Lynn knows that our schools need to be focused on more than just producing high test scores. She advocates for an approach that will provide students the holistic, wraparound supports they need to be successful. She will continue to recruit and retain the best teachers possible, and support them throughout their professional careers. 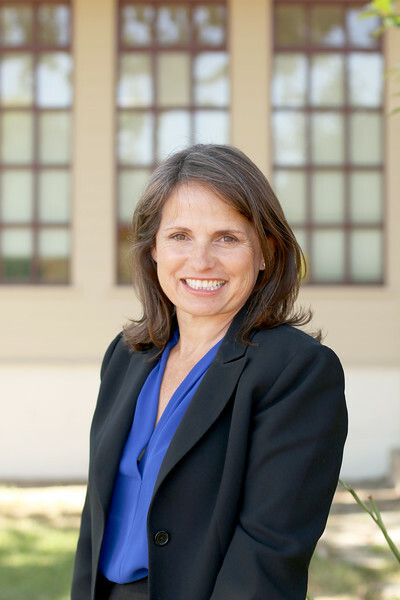 Her vision for all students in Contra Costa is one in which every child can discover their passion and follow their dreams. Lynn Mackey is a proud mother and grandmother who continues to advocate to ensure all our schools provide a world-class education. She lives in Martinez with her husband, Doug.